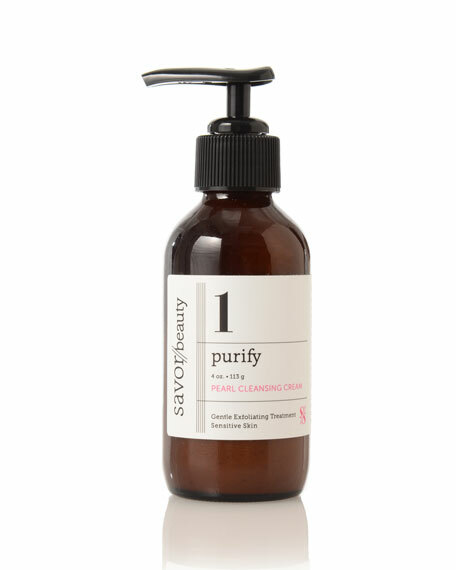 Savor Beauty Purify Pearl Cleansing Cream 01, 4 oz. Savor BeautyPurify Pearl Cleansing Cream 01, 4 oz. This milky face cleanser is 100% natural and plant-based certified organic ingredients clear skin for pearl-like complexion. 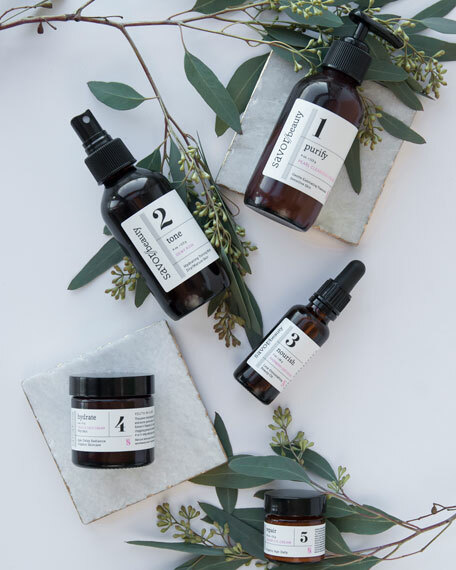 Step 1 in Savor's 5-step skincare program. Rose Flower Water: Purifies and balances pores. Ginseng Root Extract: Detoxes for smooth skin. Wheat Germ: Provides rich source of Vitamin A, E, and D to strengthen cells. Savor Beauty Pearl Cleansing Cream is specifically formulated for sensitive and rosacea skin. For normal/combination skin, use Savor Beauty Champagne Face Cleanser.